Australians didn’t really get behind Nelly Furtado’s previous single ‘Big Hoops (Bigger The Better)’, leaving it to the UK to gift the Canadian songstress her only top 20 success. Here we see the singer moving swiftly along to single No.2 – the (part) title track from her forthcoming album ‘The Spirit Indestructible’. ‘Spirit Indestructible’ kicks off with the spotlight shining on Nel on stage, with a young child playing a tiny piano her sole accompaniment. The track soon bursts into a quasi-tribal stomper with a pulsing beat and we’re transported to a spot high on a snowy mountainside. Some of the scenery is breathtaking, some of the clothes stunning. 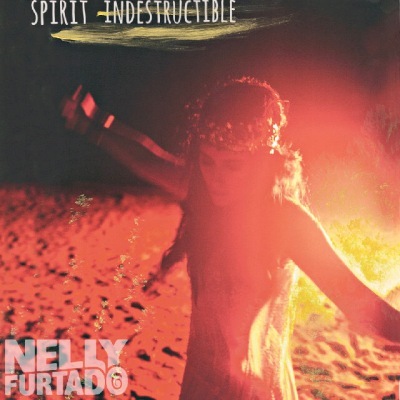 We’re thrilled that Nelly’s an artist not afraid to take risks with her sound. And we’re particularly liking the final scene in which she leaves the clip. According to Universal’s release schedule the single will hit iTunes next Friday. Will this song be available on our iTunes to purchase? I love it! sick beat, but she sounds so nasal…like the Nanny!